REMARKABLE HOME on the 12th FAIRWAY of the JAMES RIVER COURSE of The Country Club of VA. CUL De SAC Lot in the back of Mooreland Farms in Dorset Woods South. 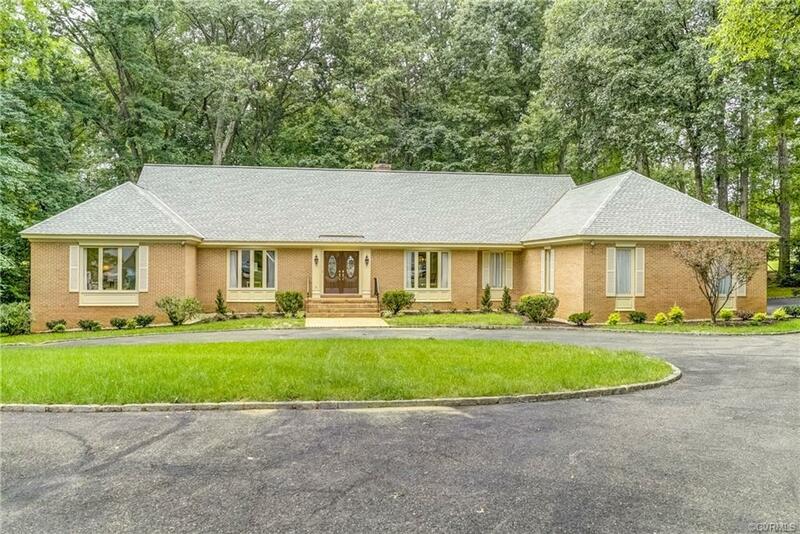 Custom built in ALL BRICK by Tommy Harris in 1980 with GREAT FLOOR Plan on THREE LEVELS! Walk Out Recreational Basement. Recent Updates including a New Dimensional Roof, Three new or Newer HVAC Systems, A Newish 20KW Generac Whole House Generator and More. The Rest is Awaiting your own personal decorating or remodeling now or at your own pace. Please feel free to Preview and bring your Decorator . Giant Room Dimensions. FIRST FLOOR MASTER (two?) Five total BR's Terrific Basement. And if almost 6,000 under roof isn't enough, there are another 800+SF of walk in expandable space w/ 10' ceiling height on the second floor. Directions: River Road To South On Moreland. Go To The End And Turn Left On Kilmarnock. It's The Last House On The Right.